Mother's Day came and went so fast I didn't get to post it until now. I had such a great day. My family took great care of me with brunch and some wonderful gifts. My husband framed the photo of our kids. It turned out great. Now I can't wait to hang it on the wall. My daughter gave me this. PIANO PRACTICE COUPONS! Better than anything money can buy! I haven't cashed in yet but I can't wait to use this coupon. Nathan gave me this. I love his little drawings...so special. My son gave me this darling picture. Please notice the pineapple...and are those devil horns?! No. Bunny ears? Hmmm. Still very cute. This guy told me "happy mothers day" at least 47 times throughout the day. He was so precious. The Saturday before Mother's Day, we built another grow box. What is it about gardening that is so rewarding? My husband doesn't get it. I love the feeling of soil going through my fingers. The idea of planting something and being able to harvest it and eat it 30 plus days later is so fulfilling. Who's with me? I love to garden. Lettuce, zucchini and yellow squash. 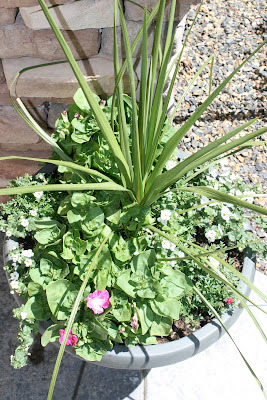 The flowers in the pots are looking good. We also experienced a bee swarm. 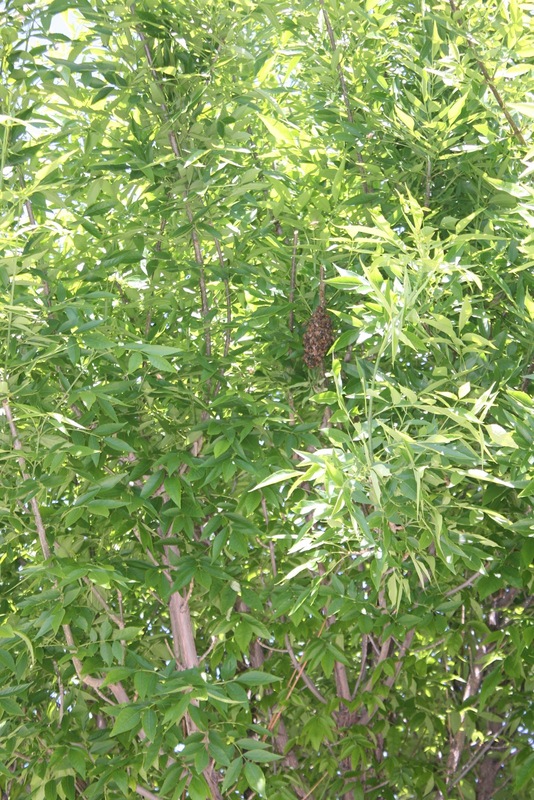 Can you see the little cluster of bees in our tree? That is about 1/10 of the bees that were there Saturday. We learned a lot about bee swarms. Such fascinating research. You can read more about swarms here and here. Our neighbor's friend collects swarms (who knew that was a hobby?) So he came and chopped down the branch and took 2,000-3.000 bees with him. One of the best things about Mother's Day was this: My kids accidentally took a nap so mommy could take a little nap too. 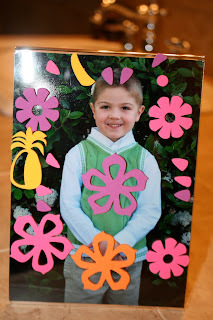 1 Response to "Mothers Day Extravaganza"
I miss your little angels! What a beautiful mother's day. My sweet boys gave me breakfast in bed and some hand-made gifts. Conner gave me a card that said I could eat whatever I want all day and gave me a candy bar and movie. Did I eat? Why YES I did.